AddressThe address for this sale in Mount Pleasant, TX 75455 will be available after 9:00am on Wednesday, May 1st, 2019. 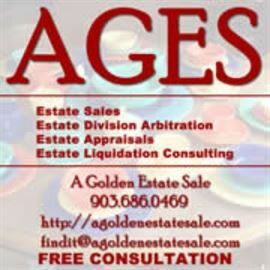 Incredible items in ALL prices ranges from what is reported to be the largest home in Mount Pleasant. It is 7,000 square feet with beautiful and tasteful items. As we get closer to the sale we will have a long list of the items and lots of photographs. Save your money you get as a gift for Christmas and mark this one on your calendar.